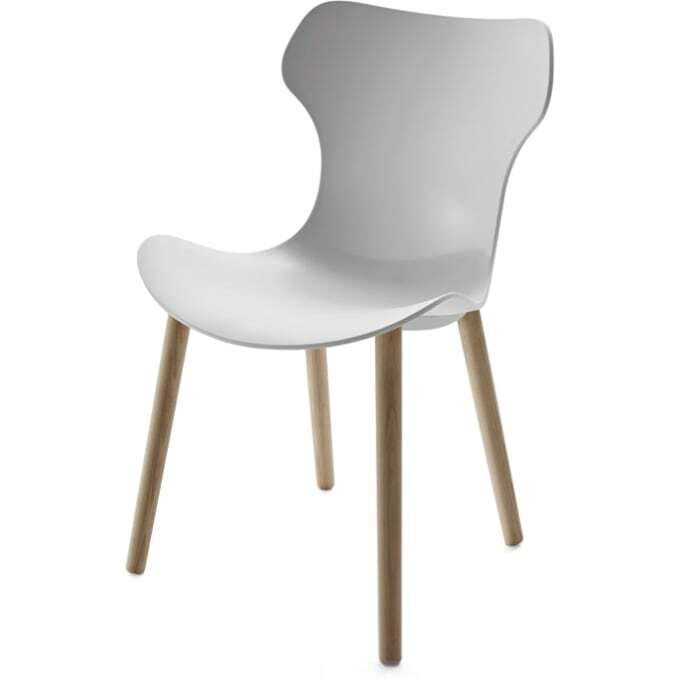 Elegant dining chair from the B&B Italia Papilio Shell chair collection. The appearance and use of the chair can also be varied by the choice of frame: the chrome-plated or lacquered tubular steel provides a simpler effect; in this version with a polypropylene shell, the chair can also be stacked. The oak legs in different versions give an elegant appearance; the aluminium spokes, shiny polished or lacquered with or without castors, express a more technical character. Do you have a question about "Papilio Shell (wood base)"? How can we contact you?